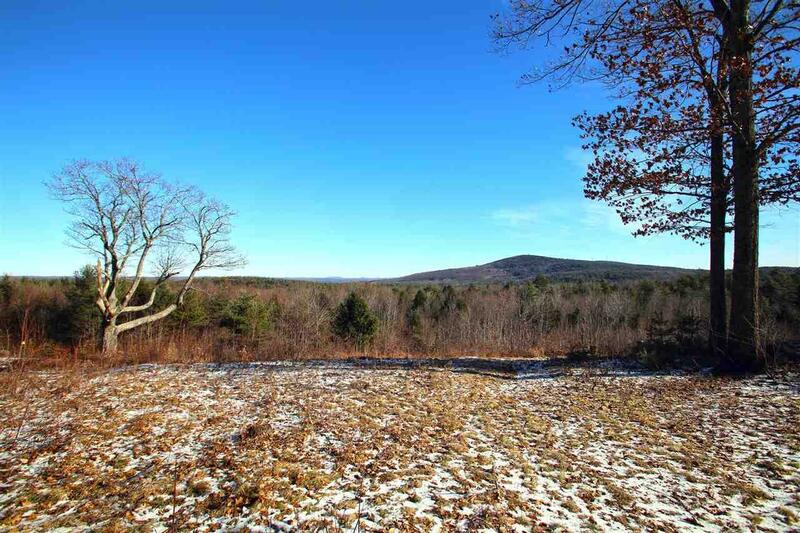 This estate-level building lot of 25.40+/- acres offers plenty of privacy and absolutely stunning long-range, panoramic views in New Boston, NH. The potential home site is very level, naturally elevated, and surrounded by tall mature pines and vintage stonewalls (which border most of the parcel). Enjoy exceptional easterly views which include the Uncanoonuc mountain range, Mount Agamenticus all the way in York, Maine! 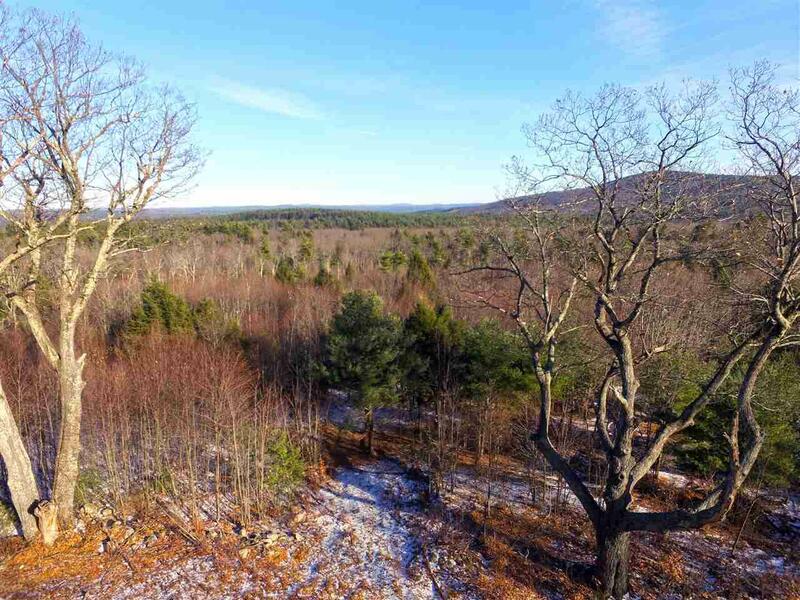 And 180-degree views that range from Manchester to Concord and beyond! This is a rare large acreage parcel among several sprawling subdivisions (mostly consisting of 1-5 acre lots) featuring well-appointed homes. Parcel features 409+/- feet of frontage on a paved, year-round, town maintained and plowed road, where power poles are located as well. 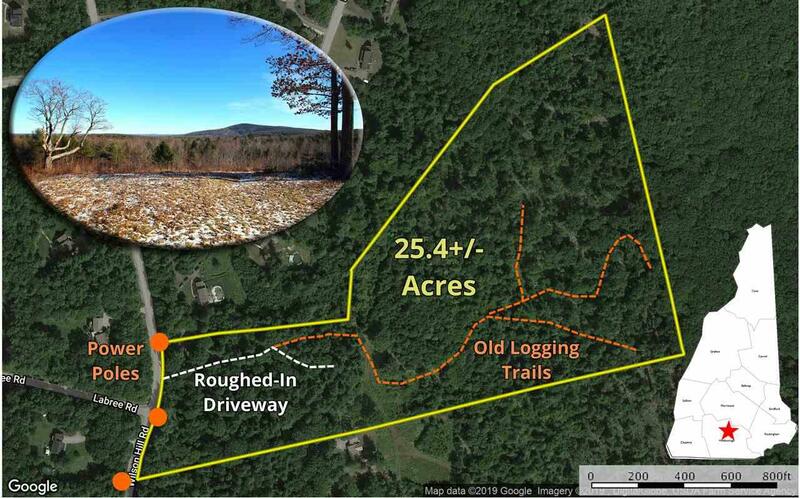 A roughed-in driveway accesses the potential homesite and several old logging trails provide access to the remaining forestland down a gentle slope before leveling out. 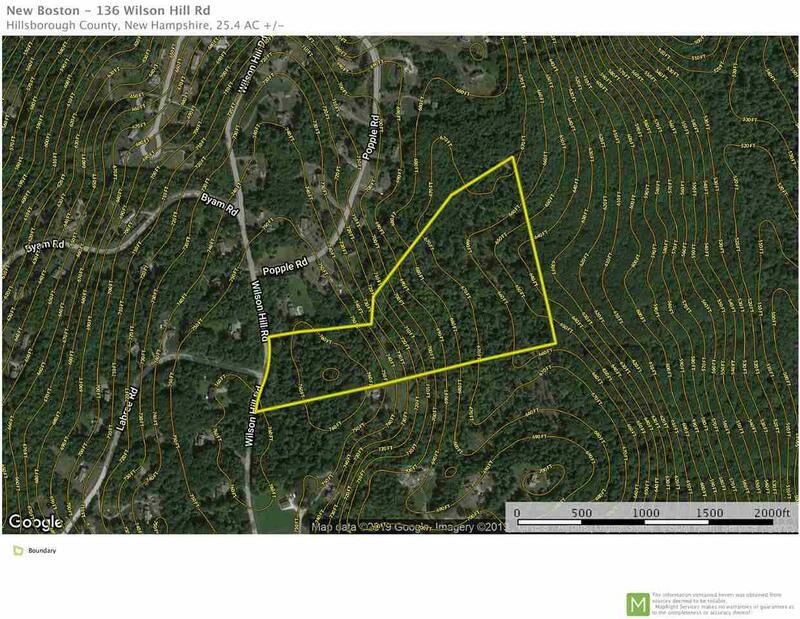 Property is enrolled in the tax reduction program, Current Use, and the woods have been selectively cut in some sections with mature White Pines, Hemlocks, and Red Oaks populating the parcel. There are many signs of wildlife, including deer, birds, and even moose! High speed internet, phone, and TV are offered in the area. About a half-hour to Concord and Manchester, NH and just over an hour to Boston, MA. No soil tests have been completed at this time. Parcel has been formally surveyed.